In the weekends we love to sleep in and wake up and make some delicious breakfast/brunch. 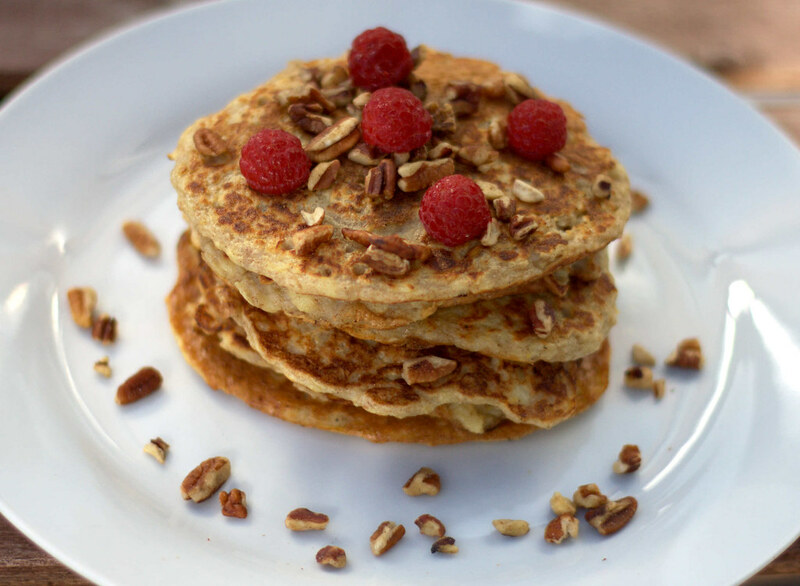 We prefer if it is not too unhealthy and always end up making some healthy banana pancakes or these pancakes with oats and apples – both are super delicious! 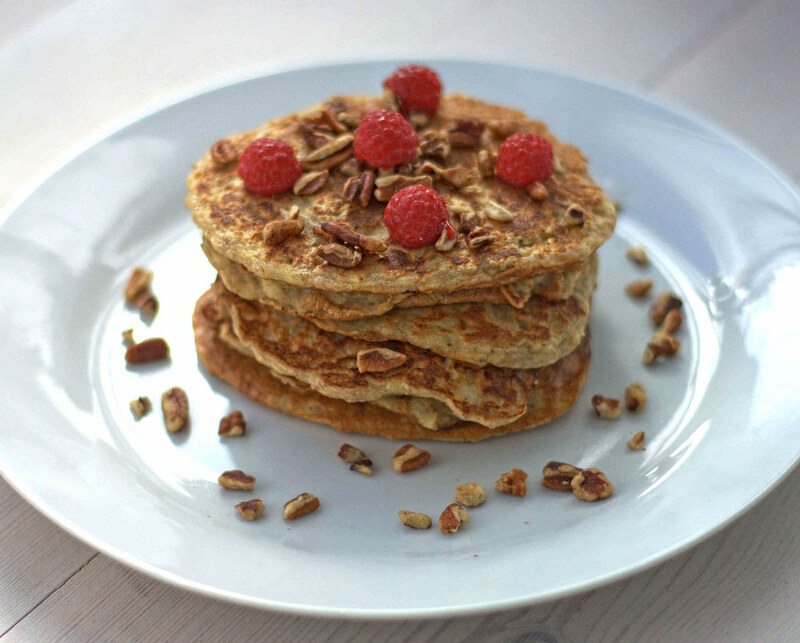 Then we usually serve the pancakes with some rye-bread or our healthy homemade stone-age-break which is full of nuts and free of sugar and flour. Together with some fresh fruit and maybe some scrambled eggs you have an great and healthy breakfast. The recipe for these pancakes with oats and apples are easy to make and they can be used for both breakfast and lunch or maybe an afternoon snack. 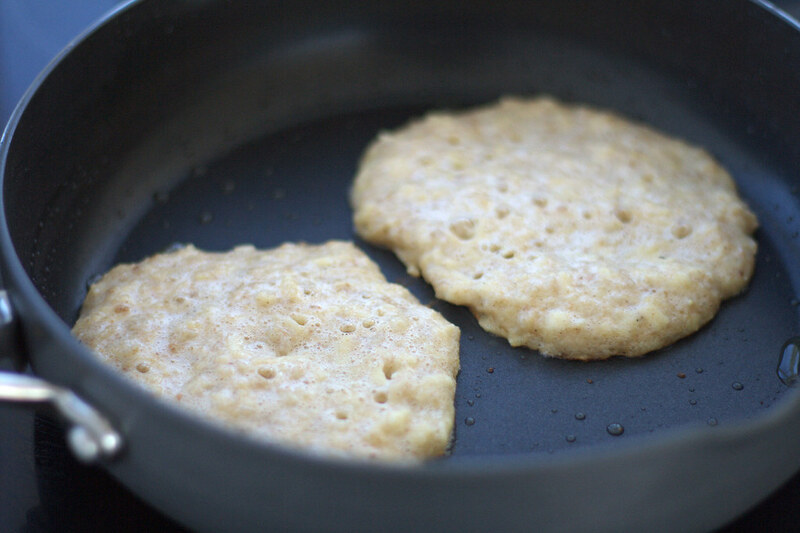 I you want to save time in the morning, when you wake up hungry, you can make the pancake dough the day before and then just fry them in the morning. If you want some even healthier pancakes you can leave out the sugar and then add some sweetener. 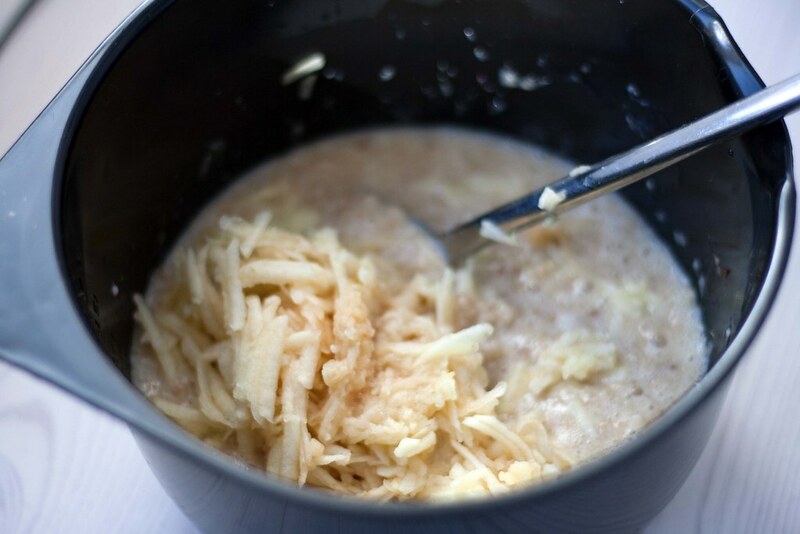 Step 1: Mix the oats and water in a bowl and use the microwave oven to make an oatmeal (about 2 minutes). I you do not have a microwave oven you can use a saucepan. Boil until you have a smooth porridge. Step 2: Peel the apples and grate them. Step 3: Mix the oatmeal with the rest of the ingredients. Step 4: Heat up a frying pan with some oil. Pour on some pancake dough and use a knife to even it out a bit. The thickness of the pancakes depends on your preferences. Step 5: When the surface of the pancakes starts to bubble flip them over and fry until they are done. 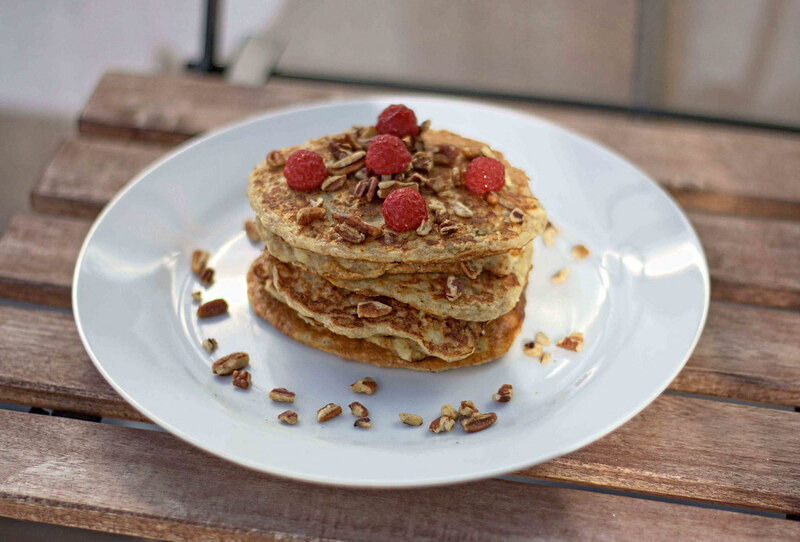 Tip: Serve the pancake as breakfast or just as an afternoon snack. They go great together with some fresh berries like raspberries and blueberries. Enjoy!